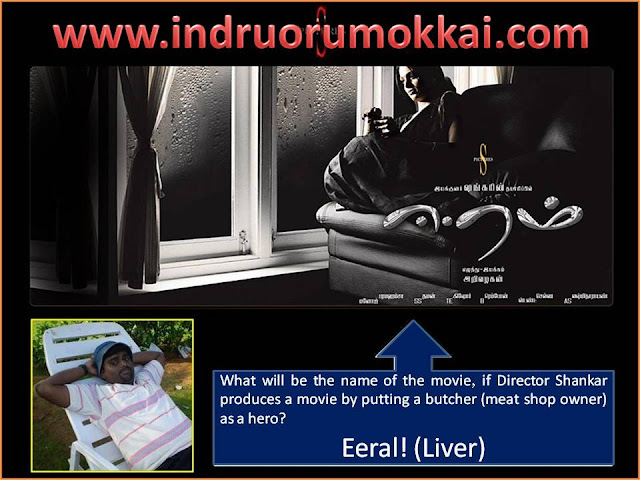 Indru Oru Mokkai: Eeram Vs Eeral! This is a mokkai about the Shankar's latest movie Eeram. We all are aware about Shankar's performance and skills. Also, he is the highest paid film-maker in India among his contemporaries. Birthday Party or Some other?